Michele is a JSD Student at NYU School of Law, where she is studying as a SSHRC Doctoral Fellow and a John P. Humphrey Fellow. She holds an LLM in International Legal Studies from NYU, a JD from the University of Ottawa, an MA from the Norman Paterson School of International Affairs (NPSIA) at Carleton University, and a BA in Global Development Studies from Queen’s University. 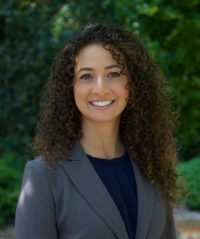 Michele’s current research is focused on strengthening global regulatory accountability for the purposes of advancing the rights and interests of systemically marginalized groups in transnational – rather than simply international – legal systems. In particular, she is examining the global and multiplex legal regime governing high-performance sport and the ways in which accountability challenges and opportunities can be respectively overcome and pursued in that context in order to advance gender equality. This research draws on the emerging field of legal theory and practice known as global administrative law (GAL) and will contribute to NYU’s GAL Project.